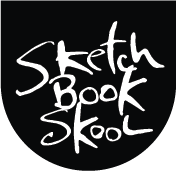 My old pal Tommy Kane gave Sketchbook Skool an amazing work of art and we want to give it to one of our students. Enroll with a friend or relative and it could be yours. Check it out. Previous Post Don’t roll your eyes at me. I’ve already enrolled without a friend. Am I still eligible? You will be once a friend or relative joins you! I’m sure you have loads of friends, Cindy! You guys are genius! I wish I could have the firm of Kane + Gregory working on marketing my biz…. I also wish I could win a “Tommy Kane”! Does it matter if you sign up for the first semester? Or is this only for the second? Well, we want you to hang out with a pal in Skool now, not in the past. Why don’t both of you join us in the new semester, thepoppet? I just mean that neither of us have done the first semester, Beginnings. We want to join, but we’d want to start with the first classes. It’d be easier if you just write my name and address on that box. Thank you Tommy! Already signed up now I have to talk a friend through the doors because I want a chance at this. I’m confused about this email address. I tried to send it and it was returned. Is it http://www.friends@sketchbookskool.com? Could you please clarify? Doesn’t mean I don’t want my name in that hat..!!! Please email us with this info. Dennis. Send the email if ya wanna be included! Mary Gayle, you must send an email to qualify.